While most business and start-up dealings go smoothly, others contain major challenges that sometimes require litigation to resolve them. When this happens, you can count on our lawyers at Bluer & Bluer, LLP for the knowledgeable legal counsel and protection that you need. Bluer & Bluer, LLP has litigated an extremely diverse range of disputes involving oral and written contracts, misrepresentation, fraud and unfair business practices. When taking on your case, the firm realizes that there are numerous concerns, including time, money, and results. Our team will do anything we can in order to help you obtain the favorable result you need, as well as to protect your best interests. When it comes to litigation, experience can make a key difference in the outcome of your case. Find out why. Request your Free Case Review by calling (800) 803-2218. Why hire Bluer & Bluer, LLP for assistance with your dispute? 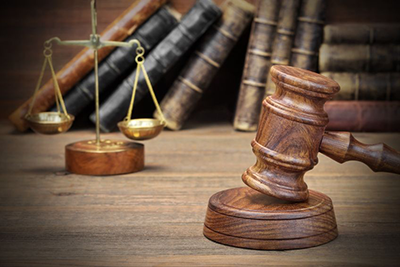 Our attorneys each have over 25 years’ experience. Bluer & Bluer, LLP offers individual attention and tailored service. Our attorneys are never afraid to go to trial. Bluer & Bluer, LLP strives for open communication with our clients. When it comes to business litigation and fraud cases, each case is unique and requires a different solution. Whether Bluer & Bluer, LLP can resolve the matter before litigation becomes necessary or needs to proceed forward with litigation, our legal team is committed to finding the most creative, efficient, and cost-effective solution that perfectly matches both your needs and your goals. If you are in San Francisco, Santa Clara, San Mateo or Alameda County, speak with a friendly and experienced attorney about our business litigation services.